People ask often about “building a brand” or “creating an audience.” Though your intentions are genuine, this is the wrong question. Your audience is not “built” - it is discovered. And they are discovering you more than you are discovering them. Learn in this show how your audience will reveal itself once they are clear on what you have to offer and why it matters to them. I’ll help you out. --- Listen on: iTunes | Stitcher | Soundcloud | Google Play | Overcast | Pocket Casts | Bluburry | Player.FM Comment on this episode! 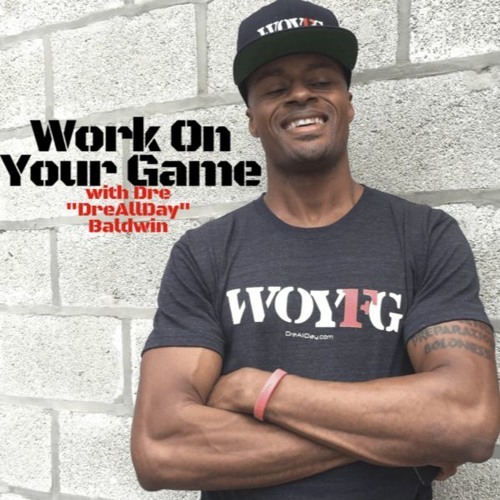 [https://dreallday.com/236-audience-selects-woyg-podcast/] Show notes, comments and links for all episodes can be found at http://DreAllDay.com/Podcast Direct mp3 download: [https://soundcloud.com/drebaldwin/236-how-your-audience-selects-itself] Learn more (much more!) about Dre - basketball career & Guides, Programs, Speaking - at his website http://DreAllDay.com. Find me on social media: Instagram & Snapchat @DreBaldwin Twitter & Periscope @DreAllDay Be sure to SUBSCRIBE to have each new episode sent directly to you daily!